The chairman of Five Star Music group, Emeka Okonkwo few days ago, received a Honorary Doctorate Degree in Business Management and Corporate Governance from the European-American University. 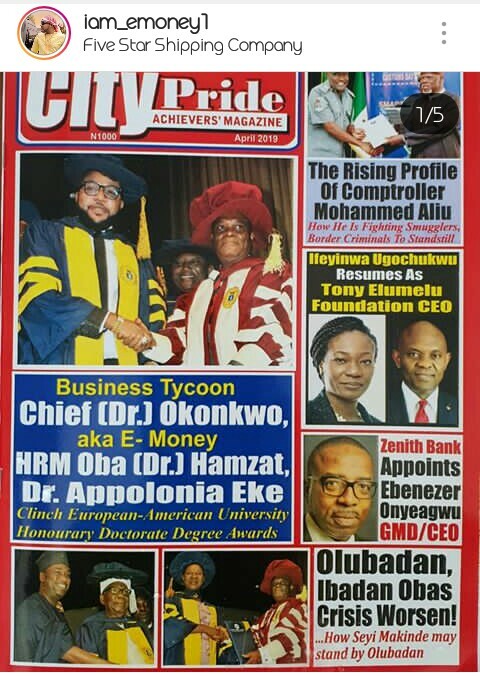 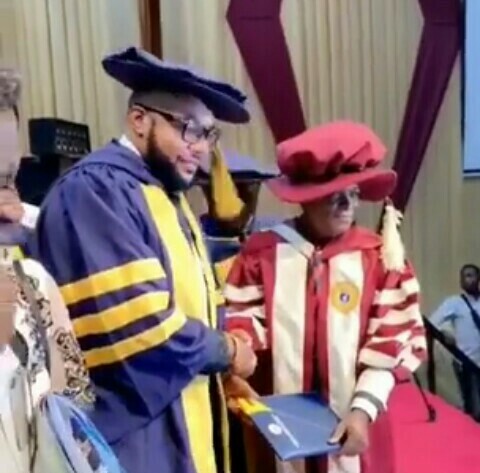 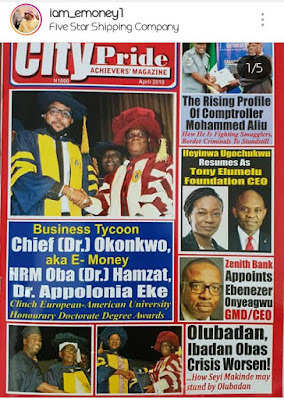 E-Money received the award at the 50th convocation ceremony, held at the University of Lagos (UNILAG) last week Saturday. 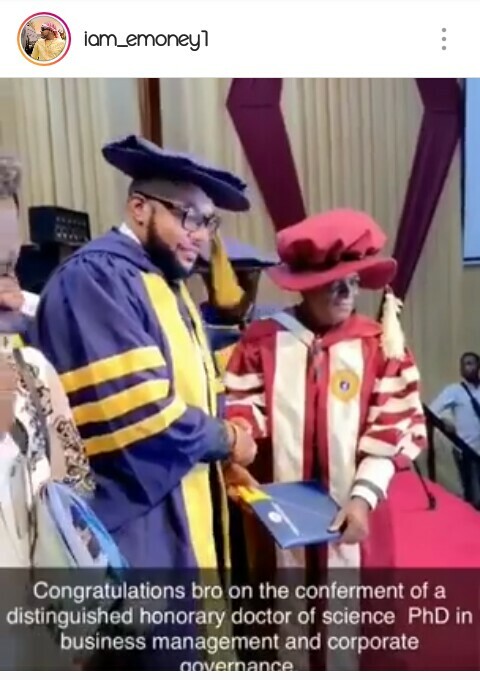 He was accompanied by the incoming Deputy Governor of Lagos state, Dr Obafemi Hamzat and his brother, KCEE.